From May to September, churches, abbeys and priories throughout the Languedoc Roussillon will echo to the music and poetry of modern troubadours from around the world. The word “troubador” is believed to come from the Provençal “trobar”, meaning; “to find or compose in verse” and originally referred to lyrical poets, minstrels and musicians who lived in Provençe and Catalonia, or northern Italy in the 11th, 12th, and 13th centuries. The public was tired of hymns, and droning chronicles. These new stories were sung to music on strange, new musical instruments, brought back from the Crusades. Satire, love, politics, tales of bravery, Professional singers who performed work penned by a troubadour were called jongleurs, and they might be accompanied by ioculators (jesters) and ystriones (actors). Many of the groups in the festival tend to be men. 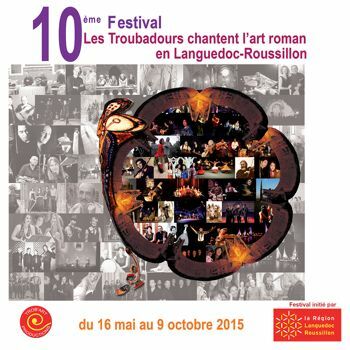 Click HERE for full programme in Languedoc Roussillon, and to hear excerpts from the artistes.